Two 737 operators and one 727 operator reported observing that their main gear tires were slipping or moving on the wheels. After initially suspecting that slippage was occurring, one of the operators began painting witness marks on wheels and tires during wheel and tire assembly. After the airplanes were in service for a number of landings, the witness marks were misaligned, indicating that the tires "slipped" or rotated on the wheels. 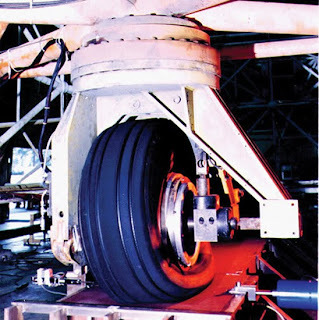 In severe cases, slippage of up to 20 inches on the wheel periphery (about 100 degrees) was observed. 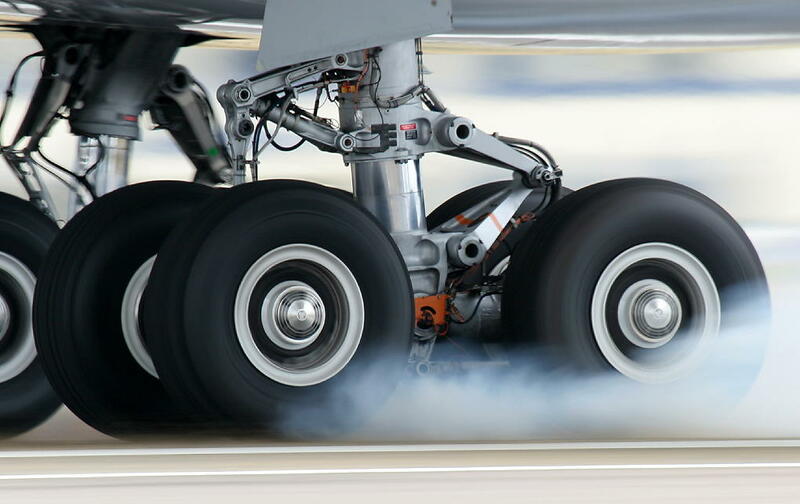 In two of these cases, it was determined that the tires exhibiting the slippage were NOT approved by Boeing. Boeing has determined that a SMALL amount of slippage is acceptable and is occasionally observed on in-service aircraft. A large amount of slippage (such as that reported above) is unacceptable and clearly indicates a problem. A large amount of slippage is likely to damage the wheels and tires, and might adversely affect stopping capability of the airplane. 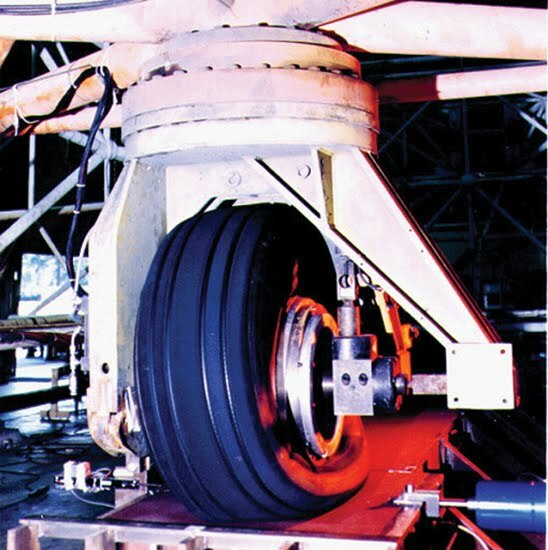 In previous revisions to this article, Boeing recommended that slippage less than 20 degrees on the wheel periphery be considered acceptable. 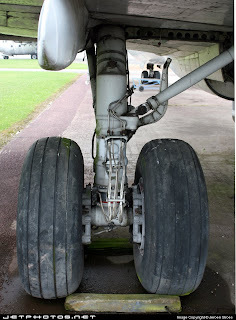 Twenty degrees on the periphery of a 727 main gear wheel is about 4 inches (100 mm). After this recommendation was made by Boeing, the referenced ARP was released (August 2002) which also recommends a 20 degree in-service slippage limit. This FTD article provides recommended in-service limits for tire-to-wheel slippage. If a tire is observed to have slipped more than about 20 degrees, we recommend that the wheel/tire assembly be removed from service and that the tire supplier be informed. Also, we are aware that some operators use tire bead seat lubricants to facilitate wheel and tire assembly. It is reasonable to presume that bead seat lubricants may exacerbate tire-to-wheel slippage. As such, operators may wish to review their use of lubricants if they are experiencing excessive slippage.